Comtech Telecommunications Corp. (Nasdaq: CMTL) has revealed that, during the firm's second quarter of fiscal 2019, the company's Tempe, Arizona-based subsidiary, Comtech EF Data Corp., which is part of Comtech’s Commercial Solutions segment, received a $1.0 million equipment order from a defense contractor — the equipment will be deployed to support a United States Air Force (USAF) program. The order specified the DMD1050TS L-Band Satellite Modem Board. The DMD1050TS is Comtech EF Data’s latest generation modem board set targeted at critical government and military applications. The product complies with the widest possible range of U.S. Government (USG) and commercial standards and is compatible with the largest number of satellite modems in the industry. This modem board is fully compliant with MIL-STD-188-165A, STANAG 4486 Edition 3 (EBEM), and the IESS–315 commercial standards at data rates up to 37 Mbps. Additionally, the DMD1050TS has successfully completed Phase I of Army Forces Strategic Command (ARSTRAT) WGS certification and is scheduled for final Joint SATCOM Engineering Center (JSEC) evaluation. 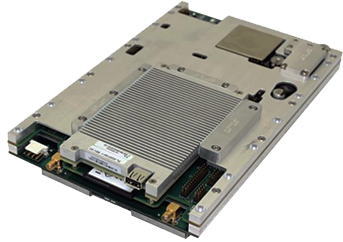 The DMD1050TS L-Band Satellite Modem board offers a complete modem with FIPS certified TRANSEC on a compact PCB daughter board. The embedded TRANSEC capability is fully compatible with the TRANSEC capabilities in Comtech EF Data’s DMD2050E and SLM-5650A Satellite Modems. The extensive list of integrated hardware and software options allows the user to integrate the modem on many platforms and provide an upgrade path for future networks. Options may be purchased with the product or easily upgraded in the field through the web browser or terminal port.